When you imagine harbors do you think commerce, trade, travel, or the changing landscapes of our waterfronts? The elegant white sails of the Sydney Opera House or the sturdy fishing boats along the Boston seacoast might come to mind… Port cities provide a rich history, complete with dock workers, sea captains, and a rough and tumble crew that have navigated the mysterious deep waters for decades, bringing us to and from our destinations, delivering exotic goods, or facing whatever the currents demand. My extended family has been recently labeled (with much endearment by one of our own) “large and uproarious.” From my vantage I would not only agree but add a resounding Yes, we are! Very large and certainly capable of a roar now and again… ! Irish Catholics for multiple generations, all navigating through rough waters, finding refuge in our familial harbor, with all the metaphor possible intact. My particular family line is moderate in size but diverse in our natures. 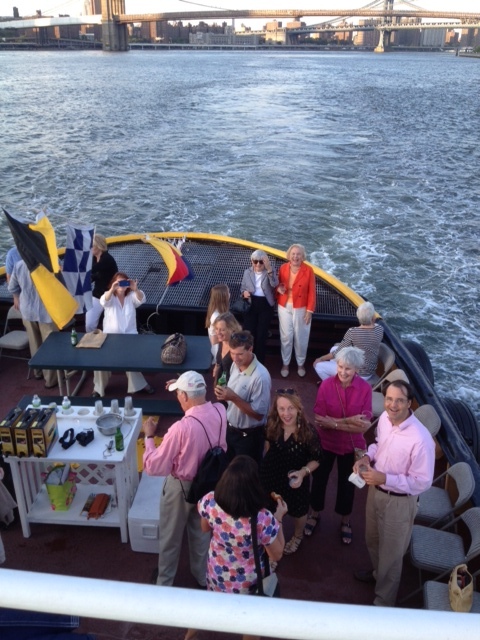 On this evening we found equal footing in the shared awe and joy visible in anticipation of our harbor cruise. On this particular excursion we siblings gathered, along with my mother, her living siblings and their spouses, various cousins and good friends. By our standards, a small and intimate crowd. Standing at the South Street Seaport, with Brooklyn right beyond us and the sun low on the horizon, we came together for the purpose of celebrating a birthday. No matter the reason, there is always a thrill over the prospect of a tugboat ride…for we are tugboat people dating back 150 years. Ever notice how the oldest and the youngest of your family tree always have the best smiles? Certainly, these two do! This tugboat was built in the 1950’s and has the distinction of being the oldest working tug in the company. 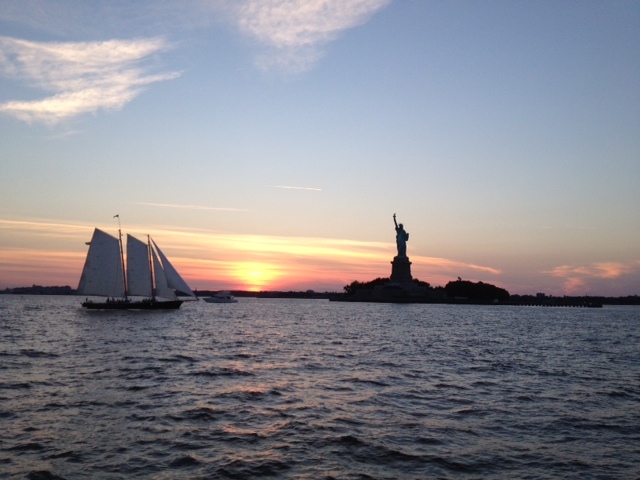 We all climbed on-board with the sense of safety that people who are used to boats feel: laughing and chatting and just delighted to be out on the water under such a gorgeous sky surrounded by New York’s dramatic cityscape. As day turned to night our tug reversed position and navigated north, our attention turned to the “Freedom Tower” already soaring above its neighbors at the tip of Manhattan. As the eleventh anniversary of 9/11 approaches, construction of the Freedom Tower is moving forward quickly. 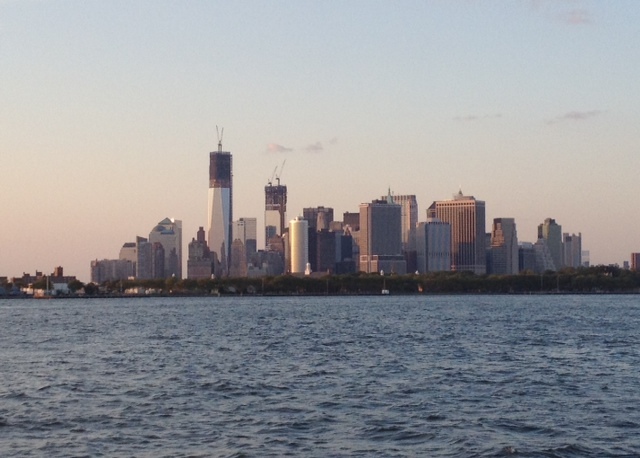 The Freedom Tower, which will stand 1,776 feet tall on the site of the former World Trade Center serves as yet another beacon of freedom to all in this harbor. 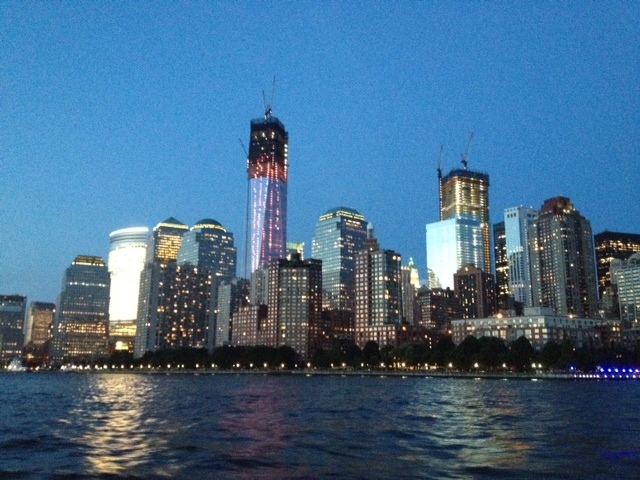 Lower Manhattan sparkled in the crystal-clear early-evening light. Again, there was a hush on the tug as we road up the Hudson, creeping along the shoreline, seeing all the familiar but seeing it anew. At the end of the day, there is the refuge and safe haven of family. The love our previous generation has shown since day one. The laughter they generate when together. 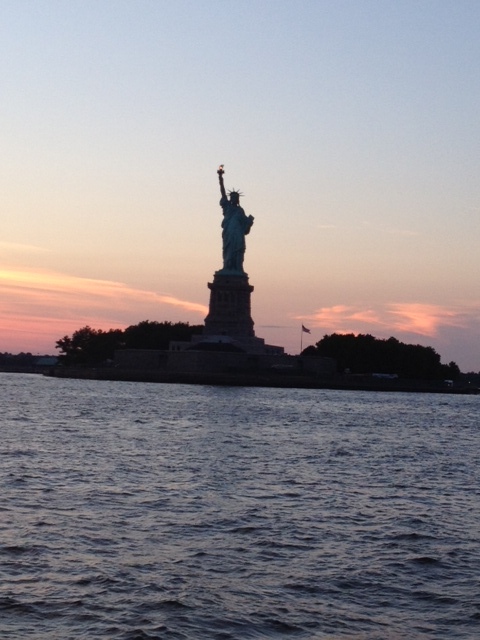 Despite religious or political party differences, despite all odds, this family, my family, with any luck your family, comes together to experience liberty and freedom and safety all along the harbor… like beacons each generation shows the next the way into these safe recesses we call home. 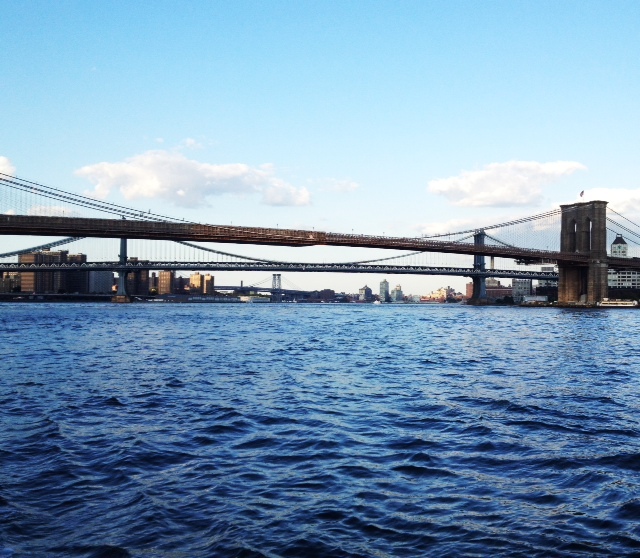 Harbors are shelters and on this perfect evening, traveling on a McAllister Brothers‘ tugboat, I returned to mine. I am forever grateful to be under the light generated by those who stand for Liberty and Freedom. **Photo credit to my dear brothers, who managed to captured what I could not. 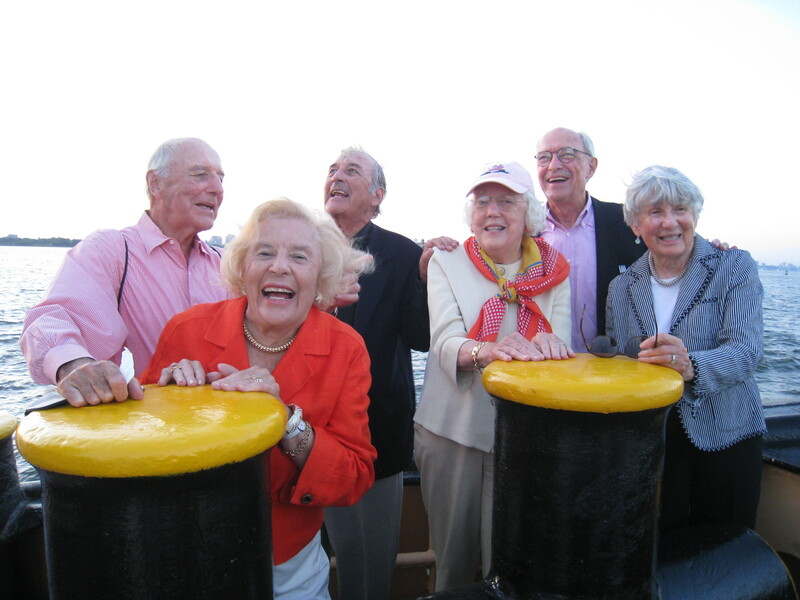 This is a beautiful recollection of my 85th birthday……..It was perfect! And you captured it so beautifully,with pictures and love………What is amazing about this particular tugboat company,McAllister Lighterage,is that it was started in 1864 by my great grandfather,James McAllister,(and your GREAT great grandfather,Nine Cent Girl).And what is most amazing is that in the harbor of New York,all the other tugboat companies have sold out,but McAllister still has our president and 5 young ones who love it,stayed with it,and continue the family name….I’m in awe…not only of the night,but the dedication of family……They all came to celebrate with me.I’ll never forget that night!!!!!!!! What a celebration of love and blessings and thanksgiving! You are a remarkable writer! Yes, I’ll have to agree with TinCanTraveler – you are a remarkable writer! I feel all teary-eyed after reading this, because I, too, had a pretty close family and I can identify with your sentiments. And it seems to me, after reading Eileen’s comment that you Owe a piece of that harbor along with your wonderful relatives! Thank you for sharing this precious family event. Thank you for being a reader of nine cent girl!!! Don’t know too many bloggers, but I can say that you have a gift for it! 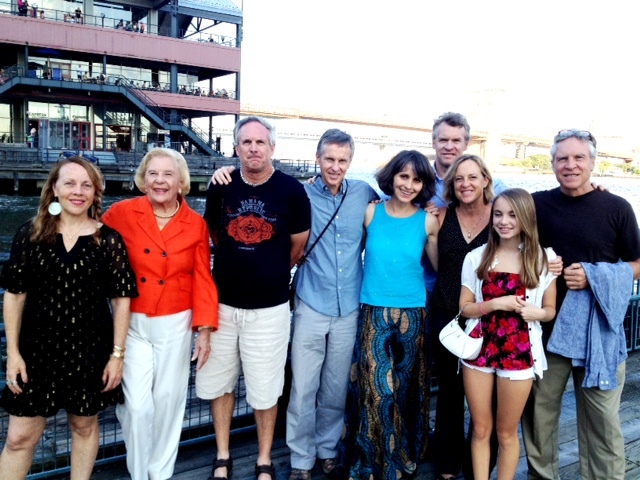 It was a special night for all of us ….for every one of the three generations present. 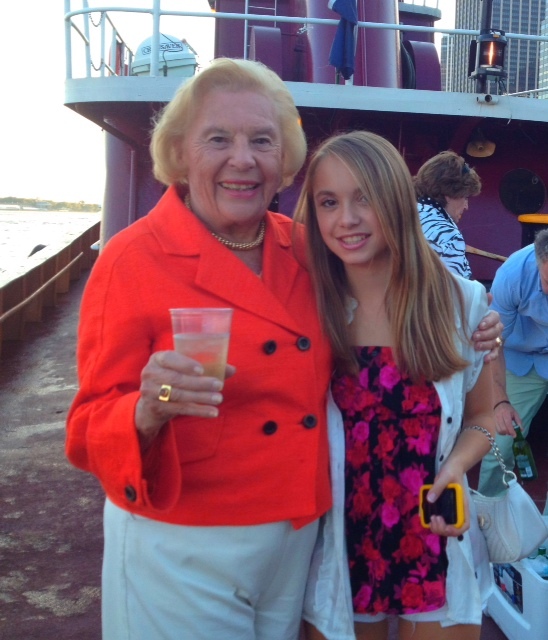 Thank you Aunt Marj… it is always special when we are together, especially on a tug!! Wonderful post…you somehow managed to make me pine for South Street Sea Port and my brief stay in New York while also anticipating a trip to Maine that I’m taking today. Great shot of Freedom Tower. That’s the first picture I’ve seen of it. Thanks for stopping by… and enjoy Maine! The ocean is spectacular this year!! Well at least take one of the many cruises around the harbor!! You will be glad you did! And thanks for reading! How great we all got to share it together! a really beautiful post, now i am joining your travels on the harbour, thank you nine cent girl! You are welcome! And thanks for reading!! I live near Portsmouth harbor in NH and love the tugboats and life of the harbor. Loved reading this! Thank you! I remember seeing a old tug docked the last time I was in Portsmouth… they are amazing! I’m missing summer days already and the pics on this page make me miss it more. yes… it was the perfect warm summer evening… well I guess it’s time to embrace a cooler breeze!